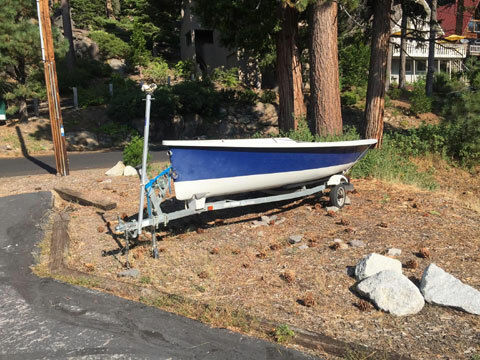 Price includes road trailer and everything required to go sailing on this stable, high performing daysailer! 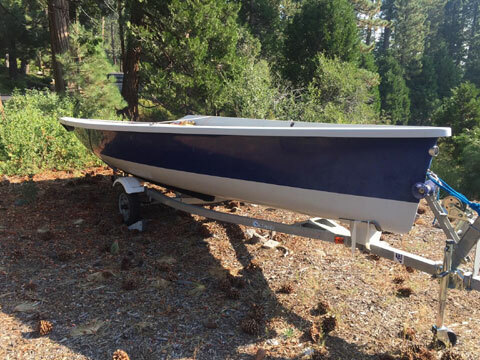 Navy blue hull, white deck. Large, open, self-bailing cockpit. The cockpit is clear and open due to innovative rigging solutions for both the boom vang and mainsheet. The mainsheet is led aft along the sole of the boat to reduce clutter. The boom vang is an upside-down compression vang, resulting in a clear and comfortable platform from stem to stern! Convenient storage with four lockers in the cockpit which is perfect for extra gear, an anchor, cooler, cushions, etc. North Sails Dacron Mainsail, max roach mainsail with two full-length top battens. Very good condition, with sail bag. 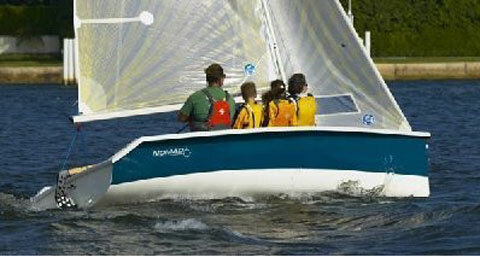 Designed by Bob Ames, designer of the Vector and Vanguard 15, the Nomad is unlike any other daysailer on the market. The Nomad combines performance, stability, and durability in a package that appeals to beginners and experts alike. 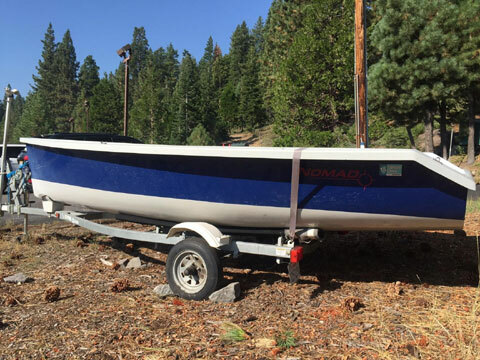 One of our goals for the Nomad was to design and build a boat that sailed very well but which also had creature comforts one might associate with bigger boats. There is plenty of room for adults, kids, and storage for all the gear that comes with them.